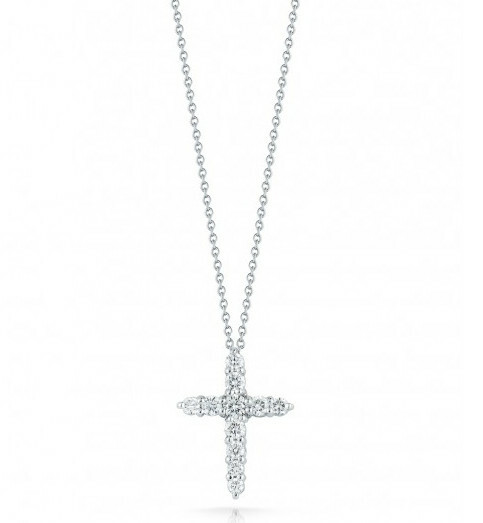 Display your faith elegantly when you wear this Tiny Treasures collection cross necklace from Roberto Coin. 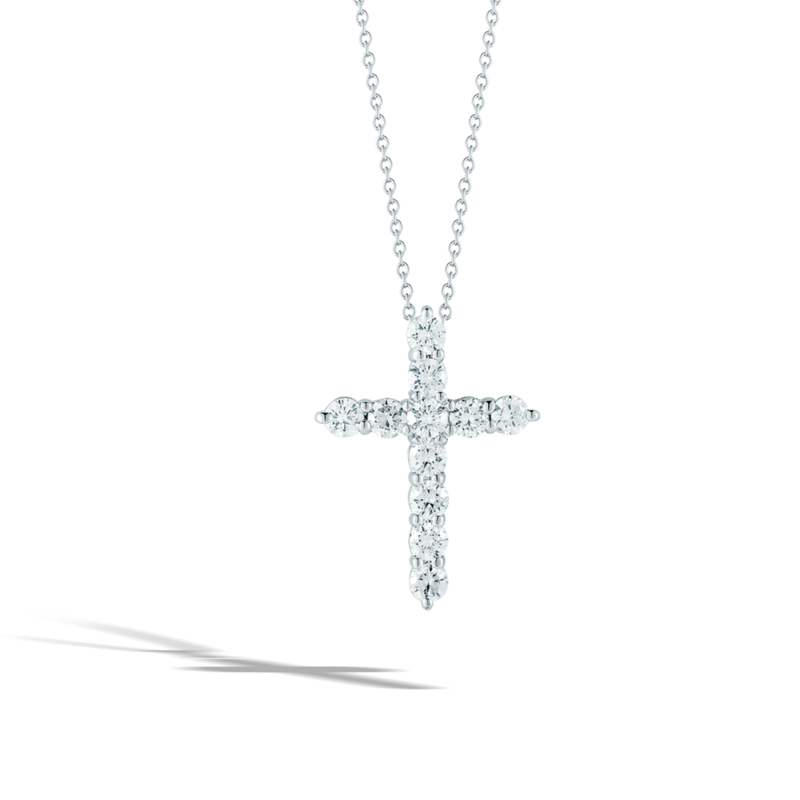 A tiny cross is fashioned in 18kt white gold and embedded with amazing white diamonds. 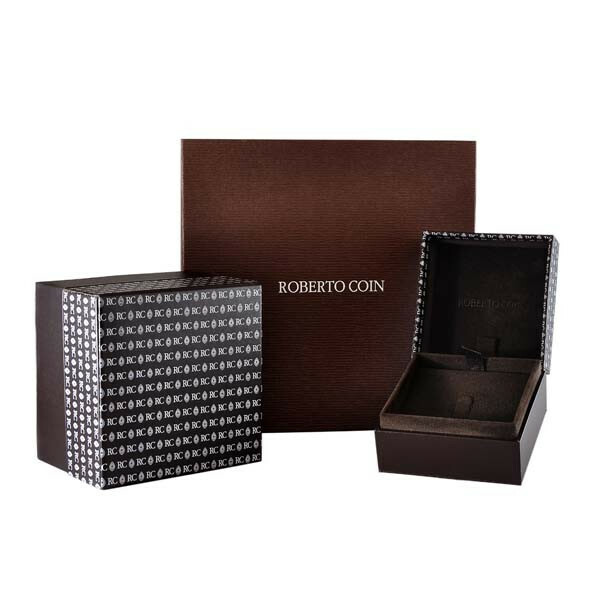 The lovely charm floats graciously along an adjustable chain. 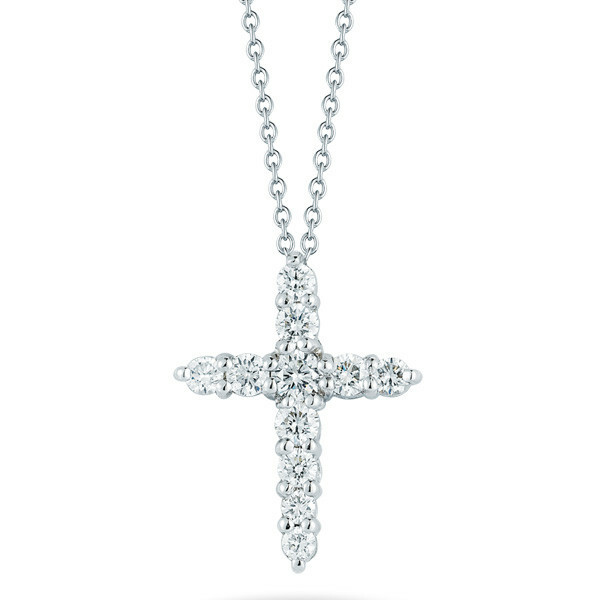 For a heavenly touch, wear this delightful Roberto Coin cross pendant.